What was MMS Desert Edition? Desert Edition offered 5 conference rooms and 40+ sessions concentrating on CM\Intune, SQL and PowerShell. 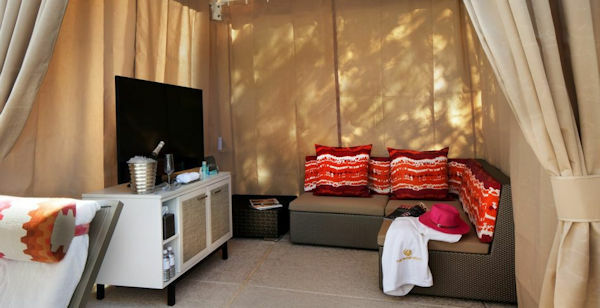 We also launched an industry 1st: Cabana Sessions! Attendees signed up for 20 minutes private sessions to talk to an MVP or Microsoft. Where Was the Desert Edition? THE PHOENICIAN, A LUXURY COLLECTION RESORT, SCOTTSDALE is just 20 minutes north of the Phoenix airport (PHX). Why a Second MMS in 2018? Because attendee demand has been so great in May and we keep selling out. And then of course other attendees have conflicts in May that prevent them from attending MMS. This is our opportunity to "Be Local" to a different part of the country. How Did the Desert Edition differ from MOA? Cactus, desert, mountains, palm trees and pools!